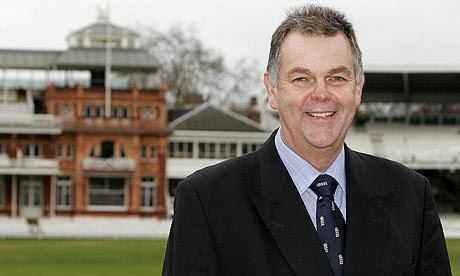 Geoffrey Miller, OBE (born 8 September 1952) is an English former cricketer, who played in thirty four Tests and twenty five ODIs for England from 1976 to 1984. He played for Derbyshire from 1973 to 1986, captaining the side from 1979 to 1981 (following the sudden resignation of David Steele after six weeks in the role), and returned in 1990 after playing for Essex between 1987 and 1989. He was an England selector from 2008 to 2013 and was appointed President of Derbyshire C.C.C. in March 2014. The cricket writer, Colin Bateman, noted, "Geoff Miller concedes that he probably enjoyed cricket too much. He did not take it as seriously as some, And when it became a rigorous, grim-faced business, he was not sorry to bow out of an eight-year Test career that never reached the peaks many expected". Likewise Simon Hughes referred to Miller in 1990 as being "the only remaining player who unfailingly visited the opposing team's dressing room after play to thank them for the game ... [and] the last man to field at slip with a whoopee cushion up his jumper"
Born 8 September 1952, Chesterfield, Derbyshire, England Miller was educated at Chesterfield Grammar School. From 1971 he was playing in Derbyshire Second XI and in young cricketer's teams. He made his first-class debut for Derbyshire in July 1973, in a match against Somerset, when he scored a duck in his only innings. He was the Cricket Writers' Club Young Cricketer of the Year in 1976. 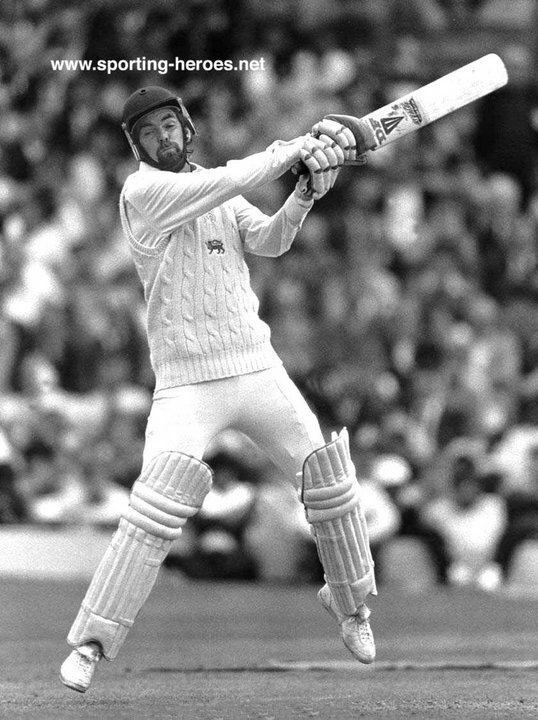 Miller became Derbyshire captain in 1979, and in the 1981 season, was a part of the Derbyshire side which won the National Westminster Bank Trophy. 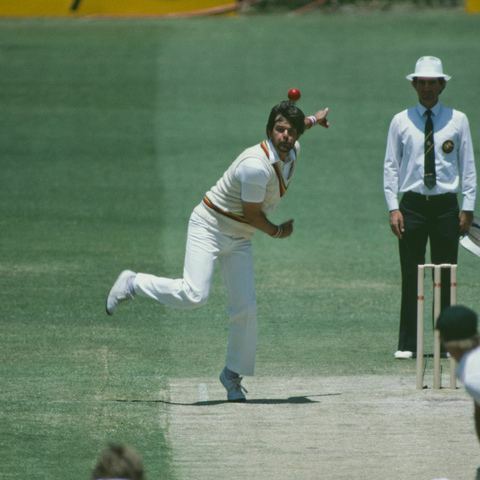 He ended the 1982 Boxing Day Test in Australia by catching Jeff Thomson – England winning by a mere three runs. Miller went to Essex in 1987, but returned to Derbyshire for his last first-class season in 1990. In 1991, he played Minor counties cricket for Cheshire. 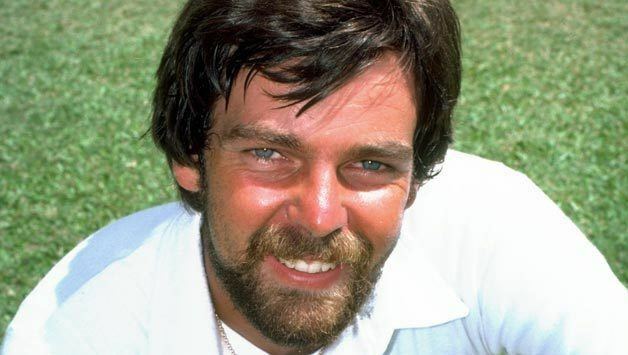 Miller was a correct right-handed batsman and a reliable right-arm off-break bowler, taking 888 wickets in 283 first-class matches (1973–1990) and 278 wickets in 334 List A matches (1973–1994). He took 60 wickets in thirty four Tests and 25 wickets in twenty five ODIs for England. Unusually for a spin bowler, none of his 60 wickets were by a stumping. Remarkably, Miller never scored a test century despite twice coming extremely close scoring 98 against both Pakistan away in 1977/8 (not out) and India at home in 1982. Miller was elected as National Selector by the England and Wales Cricket Board in January 2008. He led a panel, which then contained Ashley Giles, Peter Moores and James Whitaker. He previously served on the panel of his predecessor David Graveney since 2000. Miller also ran Moss & Miller, a sporting goods emporium in Chesterfield, with Chesterfield F.C. footballer Ernie Moss, for a number of years. He also became a popular after-dinner speaker. 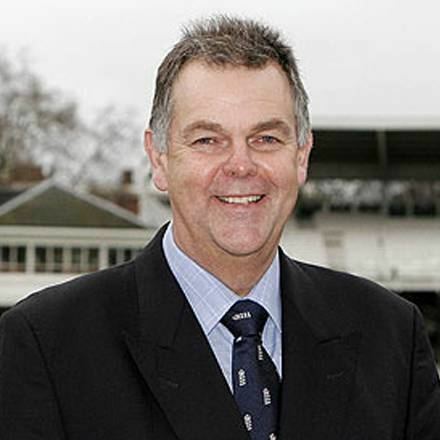 He was appointed Officer of the Order of the British Empire (OBE) in the 2014 New Year Honours for services to cricket, following his retirement as an England selector at the end of 2013.